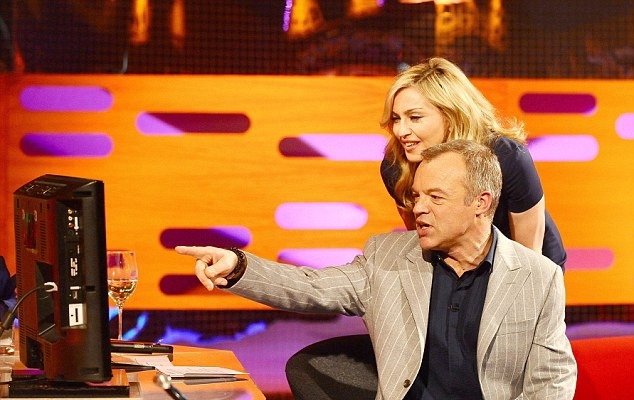 In Short: Lady Gaga, The Graham Norton Show, W.E., 2012 Olympics and more. I thought, this is a wonderful way to redo my song (‘Express Yourself’). I mean, I recognized the chord changes. I thought it was… interesting. According to Entertainment Tonight, Madonna will be attending the Golden Globes, Sunday January 15th. 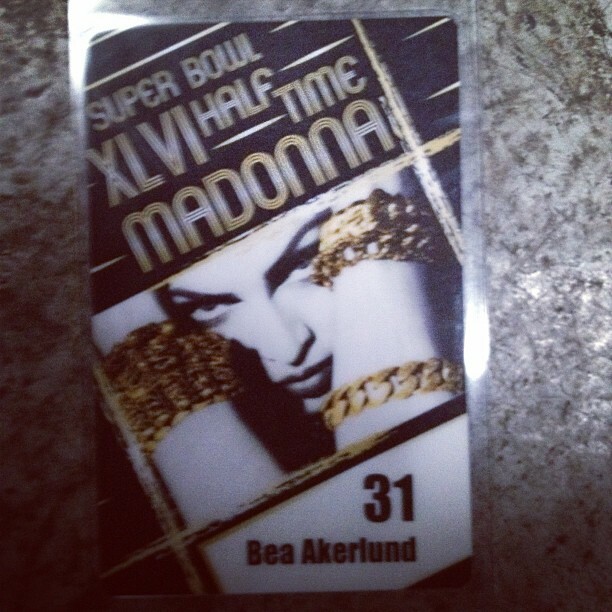 They are currently casting athletic fit males, male athletes and male models for Madonna’s performance at the upcoming Super Bowl. A height of 5’8” or above. Be willing to agree, sign and adhere to a Code Of Conduct & Confidentiality Agreement. Meet Madonna at the New York premiere of W.E. Charitybuzz is auctioning off a meet and greet with Madonna at the premiere of W.E. in New York City on January 23rd. 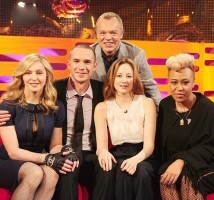 Meet Madonna when you attend the premiere and after party of W.E. in New York City on January 23, 2012! This brief meet and greet will also include a photo opportunity. W.E. is a two-tiered romantic drama focusing on the affair between King Edward VIII and American divorcée Wallis Simpson and a contemporary romance between a married woman and a Russian security guard. This romantic drama, directed by Madonna, stars Abbie Cornish, Oscar Isaac, Richard Coyle, James D’Arcy and Andrea Riseborough. Terms: Includes: 2 tickets and 2 after party passes to the premiere of W.E. in New York City; a very brief meet and greet and photo opportunity with Madonna. Will take place on January 23, 2012; exact date TBD. Winner will be subject to security screening. Tickets cannot be transferred, resold or re-auctioned. Would you like Madonna to perform at the 2012 Olympics, go and vote here! 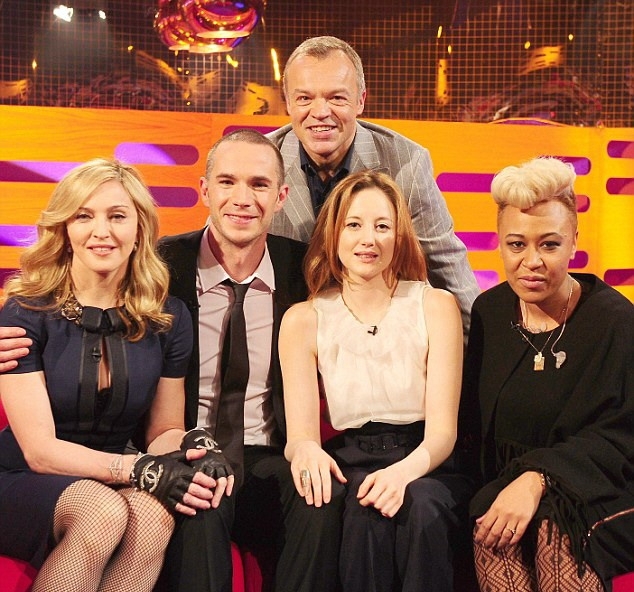 Michael Griffiths IS Madonna. No accent, costume or wig. Just ‘Madge’ accompanying herself at the piano leading you on a journey through her tough life and tender songs. Strike a pose, get into the groove and express yourself as Madonna opens her heart! Written and directed by Dean Bryant [Prodigal, Liza (on an E), Britney Spears: The Cabaret]. The controversial smash hit of the Adelaide Cabaret Festival, and a Premier Event of the 2012 Midsumma Festival. Occasion: Madonna’s upcoming 12th (or rather 13th to be exact) studio album release. What this is: A presentation of Madonna’s studio albums and the evolution in her works. This is not exactly a review, an evaluation, and it’s not about Madonna’s whole body of work as an entertainer and its impact. Just presenting each one of her studio albums in the most comprehensive way possible. Right under the presentation of each album I provide a link to a YouTube playlist I’ve made for the specific album. I have rearranged the track listing of the albums. Enjoy!